WE’RE BACK AND BETTER THAN EVER!!!!! Hello “The Cupcakerie World”!!! Thank you for being patient with us! We have been super busy these last several months, but we are looking forward to updating our blog now on a much more frequent basis! On November 4, 2011 we held our Grand Opening that was a huge sucess! The Morgantown Area Chamber of Commerce was present, along with several local radio and news stations, and tons of Cupcakerie fans! THEN, between Thanksgiving and Christmas, The Cupakerie made cupcakes for a Toys for Tots fundraising event, two Weddings, two retirement parties, a bridal shower, a bachelorette party, the Morgantown Dance Company’s Production of the Nutcracker Ballet at The MET, the Downtown Morgantown Christmas Parade, a Stella and Dot Jewelry party, the Grand Opening of Park & Masdion, as well as numerous customer orders, Christmas party orders, and Gloria Jean’s! 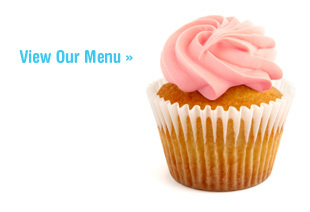 In other words…WE HAVE MADE A LOT OF CUPCAKES!!! Over the holidays, we also appeared on WVAQ, WAJR, WKKW, and WFGM several times to promote our 12 Days of Christmas special that was a HUGE success!! Recently, we judged the Girl Scouts’ Cupcake Competition and attended the Morgantown Area Chamber of Commerce Annual Dinner! We have so much to look forward to in the next few weeks as well! 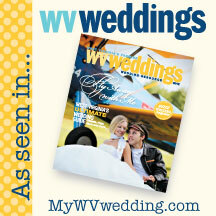 We just found out we will be featured in the WV Living Weddings 2012 Magazine on pages 30 and 471! We will attending and supplying cupcakes for the WVU Children’s Hospital Gala this weekend, and we have partnered with Morgantown Brewing Company, where they now regularly sell our cupcakes on their dinner menu! We are looking forward to seeing you in our store soon and making cupcakes for your special occassion! This entry was posted on Monday, February 6th, 2012 at 10:42 pm. It is filed under Blog. You can follow any responses to this entry through the RSS 2.0 feed. How is a girl supposed to choose! I have tried two kinds of your cupcakes. One was during the chocolate festival last year and the second was at your wedding fair at the mall! I just left a message for you concerning my wedding so please be in touch!